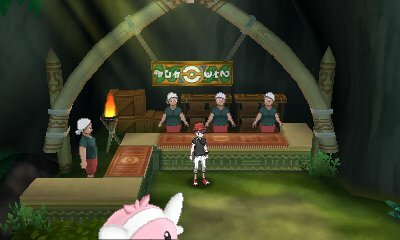 As Johto, Hoenn and Sinnoh had the Battle Tower, Unova had the Battle Subway, and Kalos had the Battle Maison, Alola has its own Battle Facility, but with a twist. This facility is the Battle Tree and is located just on the other end of Poni Gauntly. 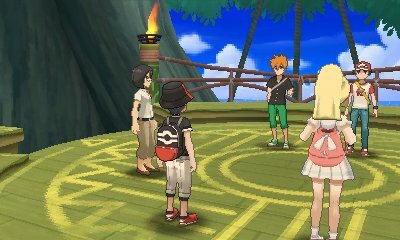 Here, you battle through numerous trainers, trying to get to the Battle Legend at the end, who introduced you to themselves as you entered, Red and Blue. As always, there's the Standard Battle Tree battles, but when you hit a streak of 20, you unlock the Super Battles with tougher trainers and even appearances from Dexio, Sina, Wally, Grimsley, Colress & Cynthia who you will encounter every 10 battles. There are three different styles of battle here: Single, Double, Multi. In a change from previous games, you can actually enter with Legendary Pokémon and your level isn't reduced to 50. However, when you go into the Super Singles, Super Doubles and Super Multi, then you will be restricted. Like before, instead of going through rounds of seven trainers, you will just continue to battle until you want to take a break, or you lose. This allows for you to go at your own pace and you don't forfeit anything by taking a break. In addition to that, you will receive at least 1 BP for every battle you win, straight after the battle with the value increasing as you get further into the streak. You get more if you take out the Battle Legends. Finally, you have the ability to change the battle music between multiple different tracks provided. 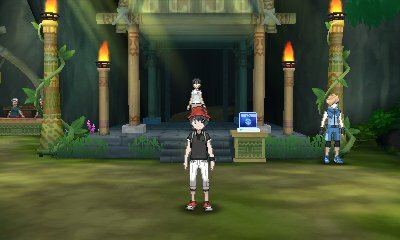 When you are going through the Battle Tree, you will often encounter familiar trainersd. In the Super Battles, these trainers will come every 10 wins in a streak and offer a bit of a challenge. They have all been encountered in the game in one form or another. Like the previous Battle facilities, the Battle Tree includes the special Multi Battle mode. Here, you can participate in Double Battles against two trainers, selecting two of your Pokémon. When you begin, you first get asked if you wish to do this with a friend. This is done via local connections, starting with utilising the 3DS Wireless and allows for you to both challenge it at the same time. Your streak is reset if you do this. However, if you don't wish to play with a friend locally, you can play with an AI player. This time, there is a twist in the AI players you can team with. As you go through the battles in any part of the Battle Tree, you can spend 10BP to Scout the trainer. This will allow for them to join you as a potential partner in Multi Battles. This can even be done with the trainers Wally, Colress, Cynthia and other returning characters from previous games. 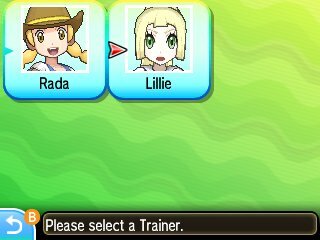 In this game, you start off with Pokémon Breeder Rada as usual, but also can have Lillie as your Multi Battle Partner after speaking with her in Kukui's Lab. 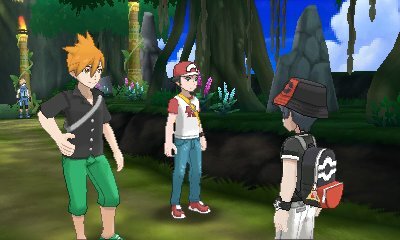 The Pokémon the trainers bring will be the first two in their party when you battle them originally. In addition to this, there is a Move Tutor here .